TOKYO (AP) — Japan is considering leaving the International Whaling Commission to resume commercial hunts, the Fisheries Agency said Thursday, after unsuccessfully campaigning for decades within the organization to gain support for the cause. The agency said officials haven’t made a final decision but are considering the step. Japan’s request for a resumption of commercial whaling was most recently denied at the IWC meeting in September. IWC imposed a moratorium on commercial whaling in the 1980s due to dwindling stocks. Japan has since switched to what it calls research whaling, and says stocks have recovered enough that commercial hunts should resume. 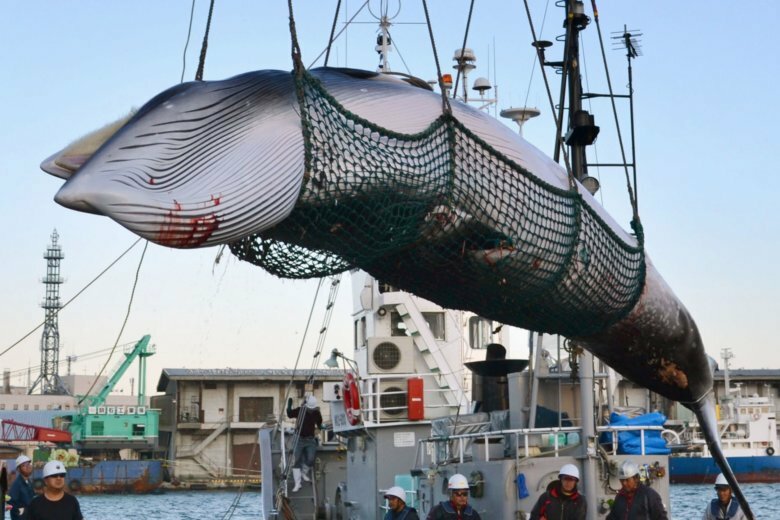 Japanese officials have said the whaling organization is supposed to pursue sustainability but has become an anti-whaling body. They criticize what they call the whaling commission’s lack of tolerance of diverse views on whaling and its inability to resolve the long divide between conservationists and supporters of whale use. If withdrawing, Japan has to notify IWC by Jan. 1, according to Kyodo News. The news was met with a mixed reaction in Japan. Ruling party members, many of whom support resuming commercial whaling as part of Japan’s traditional food culture, said it’s not helpful to stay in the IWC. But Masayuki Komatsu, a former fisheries official who represented Japan at IWC, questioned if Japan gains anything from withdrawing. “I doubt if a withdrawal improves the current situation,” he told NHK. Japan has hunted whales for centuries. It has reduced its catch following international protests and declining demand for whale meat at home. Opponents say Japan’s research whaling is a cover for commercial whaling because the whale meat is sold for food. Japan annually consumes about 5,000 tons of whale meat from the research hunts, mainly by the older generation who feel nostalgic about the meat. But critics say they doubt if a country with an aging and shrinking population can develop a sustainable whaling industry if it returns to commercial hunts. Many younger people don’t see whales as food. Japan cut back on its catch after a 2014 international court ruling. Japan’s Antarctic catch is now capped at 333 whales a year — about a third of the quota before a 2014 International Court of Justice ruling found that Japanese research whaling wasn’t sufficiently scientific.